Pannexin1, a tumor-suppressing protein, plays a vital role in binding tissue together. When cells expressing Pannexin1 touch, the protein initiates a response that includes developing tight networks of actin, a structural protein. 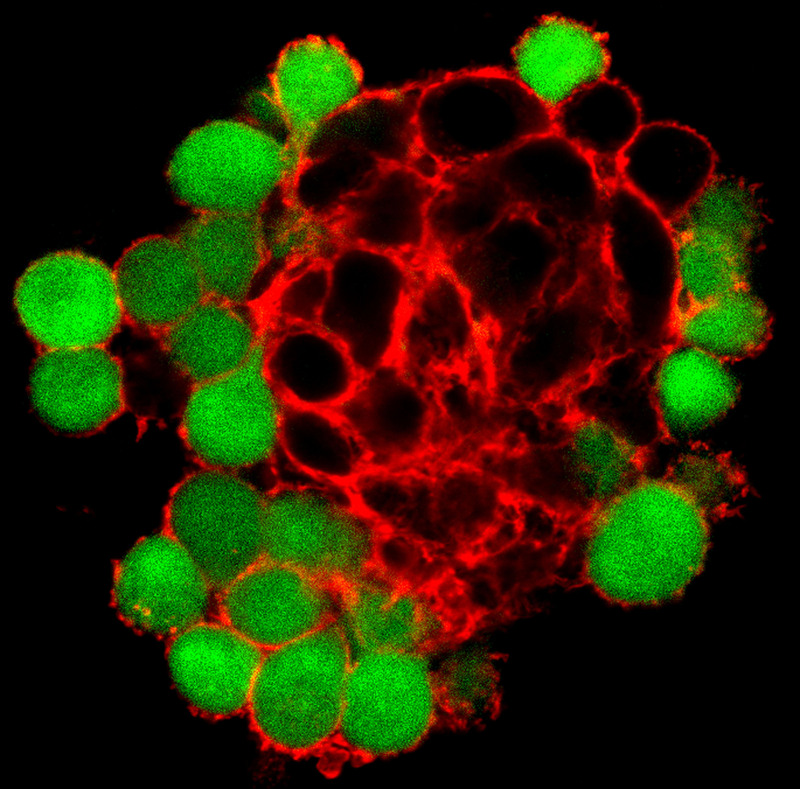 A looser cell structure can ease the spread of cancer cells. Here, cancerous rat cells that have been altered to make Pannexin1 (black) have a highly developed, tightly bound actin network (red), and those that don’t make the protein (green) have a much looser actin network. When cells turn cancerous, they stop making Pannexin1 and with that, the ability to bind together in a strong actin network. Researchers are now working on the implications of Pannexin1’s binding abilities: it is possible that reintroducing the Pannexin1 protein to tumors will make cells bind tighter, slowing the spread of cancer.